Despite the numerous benefits that sport offers in adolescence, girls are more likely to drop out of sport, and report significantly lower perceptions of sport enjoyment than boys. The experience of sport may differ for females who participate in non-traditional sport contexts, such as on male sport teams. With this in mind, the study qualitatively explored female athletes experiences on male sport teams and how these experiences shaped and contributed to their current sport participation. 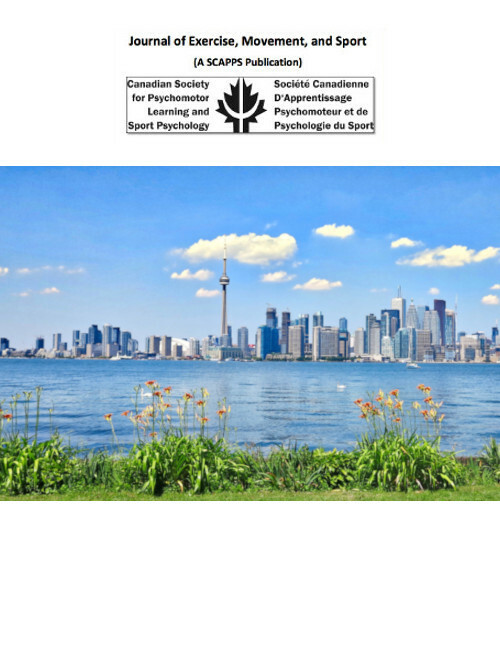 Semi-structured individual interviews were conducted with eleven females who played on various male sport teams including curling, ice hockey, flag football, tackle football, water polo, baseball, and soccer. The main themes identified included quality of the sport experience, aspects of social support, positive youth sport development, and self-presentation. These qualitative findings provide new insights into female's unique journey on a male sport team, and how these experiences influenced their participation on female sport teams.